At Sievert Consulting, we turn data into insight. Our passion is data visualization, but we offer many services surrounding the practice and dissemination of data science. Exploring 3D and 2D views of tropical storm paths. Comparing overall frequency of Zika virus cases (black) versus frequency within the map (red). Choosing 3 groups of 'similar' US states (via Euclidean distance of arrest data). The rotating graph (aka, a grand tour) cycles through 2D projections of the data -- allowing us to assess how the clustering appears from many different perspectives. We deliver data-driven products & insights faster than the competition thanks to our background in visualization, analytics, and software development. 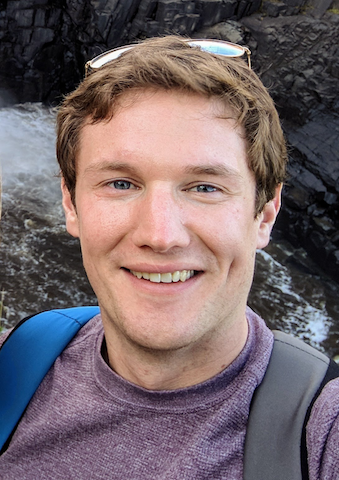 Carson is a trusted RStudio trainer with over 5 years experience teaching university courses and running interactive workshops . Sign up for his next PLOTCON workshop below, request an on-site training , and read about his teaching philosophy.